Are you the type of person who lives for adventure? Who strives to live every day to the absolute fullest? Are you the person who says yes to every opportunity that comes your way? If you answered yes to any of those questions, then there is a good chance you are already a Jeep Wrangler owner. If you are, awesome. Stick around, because unless your SUV is a full on AEV Jeep Wrangler, then you will want to read on. If you aren’t a current Jeeper, but have always wanted to be – then you have stumbled into the right place. The pinnacle of your adventurous life is waiting, and the only way to get it, is in a badass AEV Jeep Wrangler. Whether you are new to the world of Jeep, or are a seasoned veteran, you are going to want your very own AEV Wrangler the moment you get behind the wheel of one. AEV Jeeps are unlike any other SUV on or off the road. Specially outfitted for ultimate all-terrain performance, your Jeep can easily be transformed into an off-road beast by the experts at Keene Chrysler, Dodge, Jeep, Ram. Before we get into how you can get your hands on the wheel of your own AEV Wrangler, let’s take a look at the different types of people that this all-terrain Wrangler was made for. You Believe That Where the Pavement Ends is Where Life Begins: You aren’t a rule follower, and you never have been. Submitting to a set of regulations in school and as a citizen is one thing, but while behind the wheel of your Wrangler? That’s another matter entirely. For you, the end of a road does not signify a period – but an ellipsis. The only thing that stands between yourself and ultimate adventure is not a sign indicating that the road has ended, but the car you are piloting. An AEV Jeep Wrangler from Keene CDJR symbolizes endless, heart-stopping adventure, not just on the pavement, but where the road ends and the dirt, mud, and sand begins. You Live for the Thrill of the Unknown: As much as you thirst for the ability to continue on where the road ends, so do you ache for the utter thrill of the unknown. What lies beyond the beaten path represents so much more than a hidden creek, or an underground cavern – it brings to life the passion for adventure inside of you. By purchasing an AEV Wrangler, or upfitting your own SUV with genuine American Expedition Vehicle parts, you are opening yourself up to the possibility of uncovering the uncharted territory of your imagination. You Are One of a Kind: Your mom always told you that you were unique, one of a kind, and not like the rest. While she may have simply been echoing her own biased opinion, those encouraging words helped form who you are today. While the rest of the world is busy going about their daily, mundane routines, you strive to do the opposite. No one would categorize your existence as boring, or even normal, and you live to maintain that reputation on a daily basis. Whether you are hitting the off-road trails solo for a day in peace, or are heading out with a group of friends for a weekend camping trip – you are always up for a one-of-a-kind adventure. You Want to Experience Something Different: Maybe those other summaries don’t describe you. Maybe you play by the rules, and despite your desire to be adventurous, the very thought of the unknown terrifies you to the core. You have lived your life up to this point following the script without error, but you are finally ready to ad-lib the next chapter of your adult life. You aren’t sure what that means, but you know that the best way to jump in feet first, is with a capable AEV Wrangler. The off-road beast is your surest ticket to a new self, and with 2017 still fresh, this is the perfect time to buy one from Keene CDJR and start your new year off right – with a new you. You Want to Be Part of a Community: AEV or not, owning a Jeep Wrangler automatically qualifies you as a member of a unique community of like-minded people. People who seek adventure, who live for thrills, and who appreciate the way the Earth’s surface was carefully laid out for pure Jeep fun. From the moment you purchase your AEV Wrangler, you are a part of this exclusive group of people. Wherever you go, you will have the assurance of friends, comrades, and individuals who are ready to help you at the drop of a hat. No other make or model vehicle can make that same claim, which is one of the many reasons why owning an AEV Wrangler should be at the top of your to-do list in 2017. 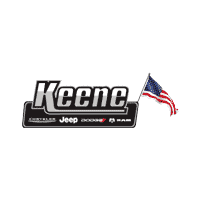 Keene Chrysler Dodge Jeep Ram is the top rated dealership for all things Jeep in New Hampshire, and offers a state of the art service center with skilled technicians ready to install your AEV parts and accessories. While some Jeep Wrangler owners install a measly lift kit on their SUV and call it a day, a professionally designed AEV Wrangler promises to be as unique as you are. Whether you want the basic AEV treatment with the JK200 package, the mid-level JK250 kit installed, or go all-out with the guaranteed performance of the JK350 package – Keene CDJR can help turn your Wrangler into exactly what you want. Crawl over the biggest boulders you can find, trounce over fallen trees, and ford through rivers and streams – all from the comfort and safety of your newly updated AEV Wrangler. Don’t spend another day driving around in a car that you hate, or that doesn’t allow you to reach your lifestyle goals – head down to Keene CDJR in Keene, New Hampshire, and outfit your Wrangler in a genuine AEV package. You won’t be disappointed.